Training for a race or rehabbing an injury? If your answer is yes, you've likely Googled a running-related question recently—and probably been overwhelmed by the volume of answers. With so many sources of information, and with the quality of information ranging from excellent to absurd, the online world of running info and advice can be daunting. To cut through all the noise, check out these five online communities that give you access to New York Road Runners coaches and injury-prevention experts. Join NYRR on Facebook Live every Wednesday at 12:00 p.m. ET. Submit your training question by leaving a comment and our coaches will answer it during the live show. Follow us on Facebook and tune in this week! Through our HSS Ask the Experts series, you'll hear from experts at Hospital for Special Surgery on topics ranging from the treatment of plantar fasciitis to warming up for your next race. A new article is posted every two weeks. Your injury answers are only a click away! 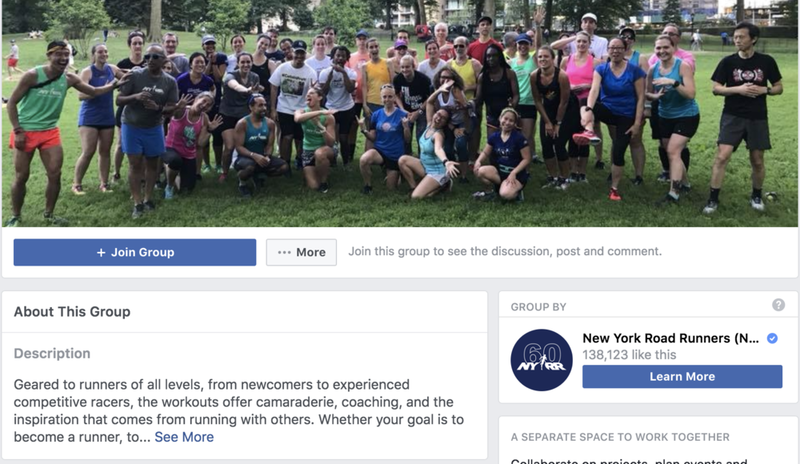 If you're signed up for NYRR Group Training, join the Facebook group to connect with members and coaches from across the five boroughs. Training for the TCS New York City Marathon? Sign up for the NYRR Virtual Training Program and register for the "Plus" tier to get one-on-one email access to the NYRR coaching staff! Any running-related questions you have, they're here to help. Use Strava to log your miles and participate in NYRR Virtual Racing? Join the NYRR Strava Club and gain access to the knowledge of the thousands of runners who are also members!